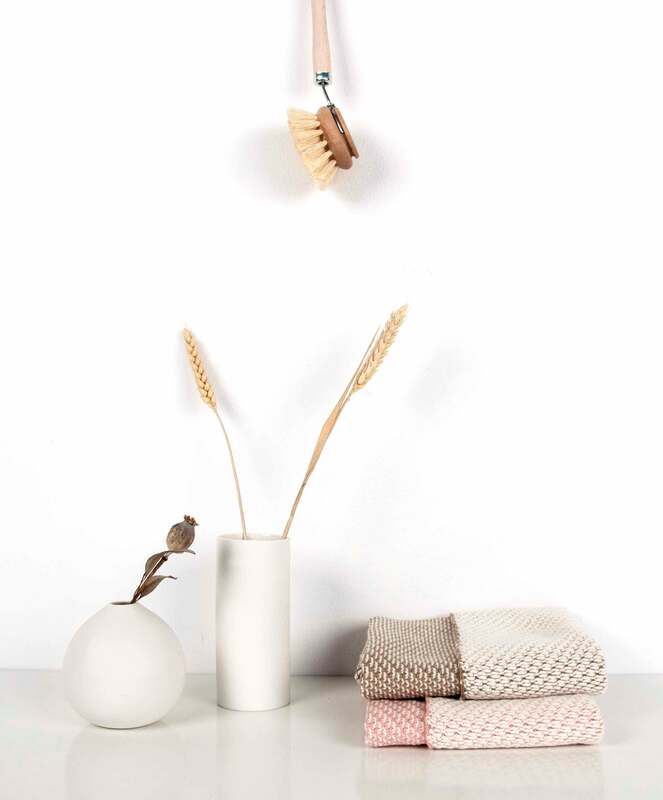 We used pure cotton yarns to take advantage of the natural characteristic of the fiber: to absorb water. 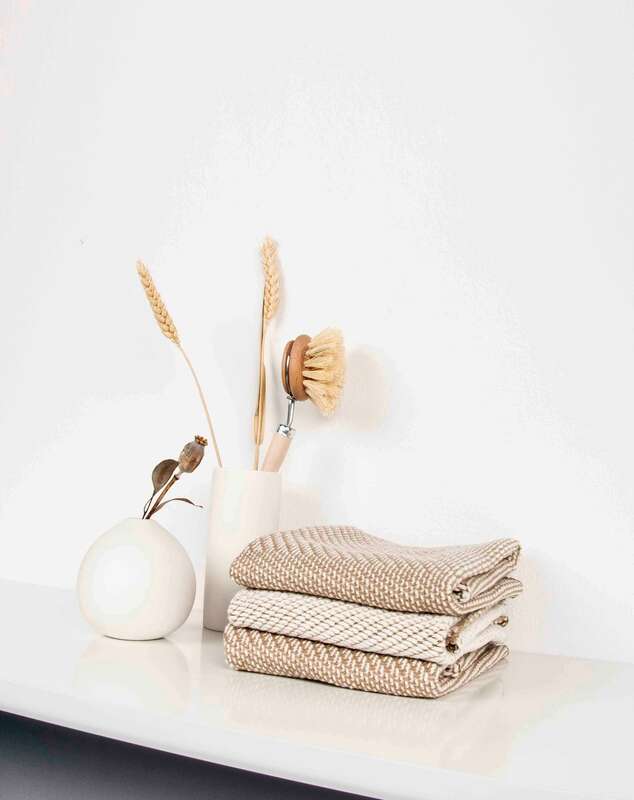 These towels are produced to be used and made to function. 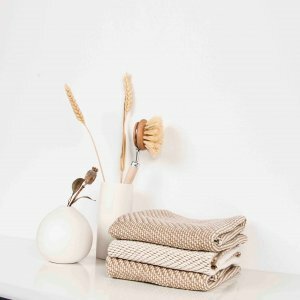 Get ready for some nerdy textile talk on the techniques behind our knitted, design towel. 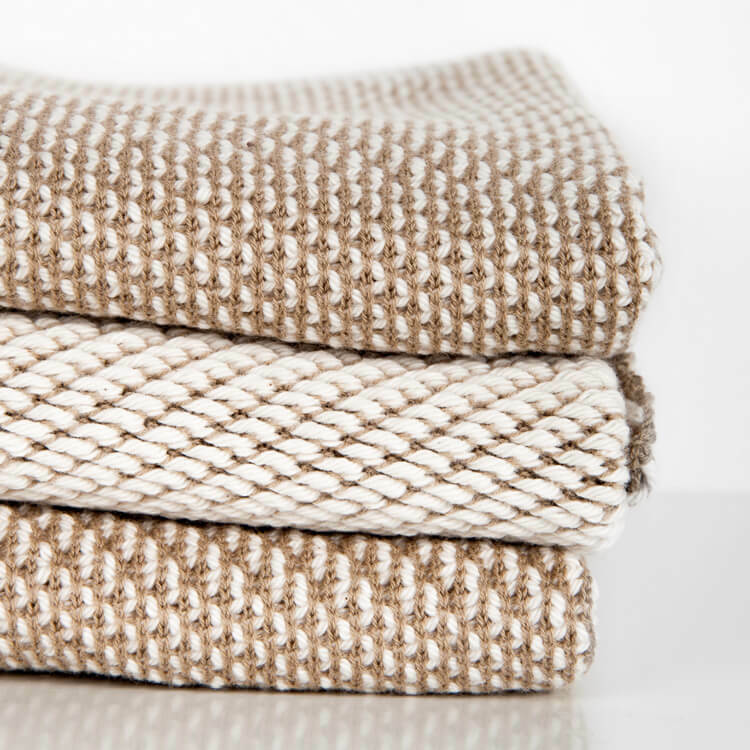 This textile is a loose knit with a thick, pure, cotton yarn to give the fiber space to do what it does best. The feel is super soft. 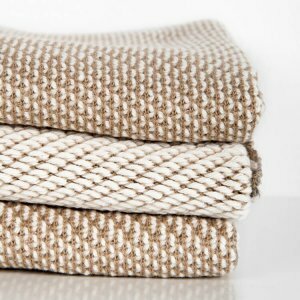 As a result, it functions: the fiber is not locked up in a tight weave. 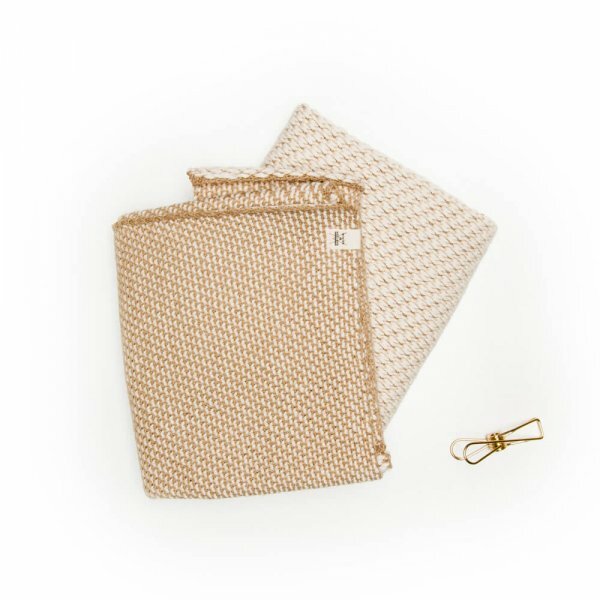 Use this cloth to dry your dishes or to dry your hands and face. 2. Use me as much as possible. 3. I enjoy an iron session once in a while. Don’t hesitate to use some steam on me, which result in a brand new look. 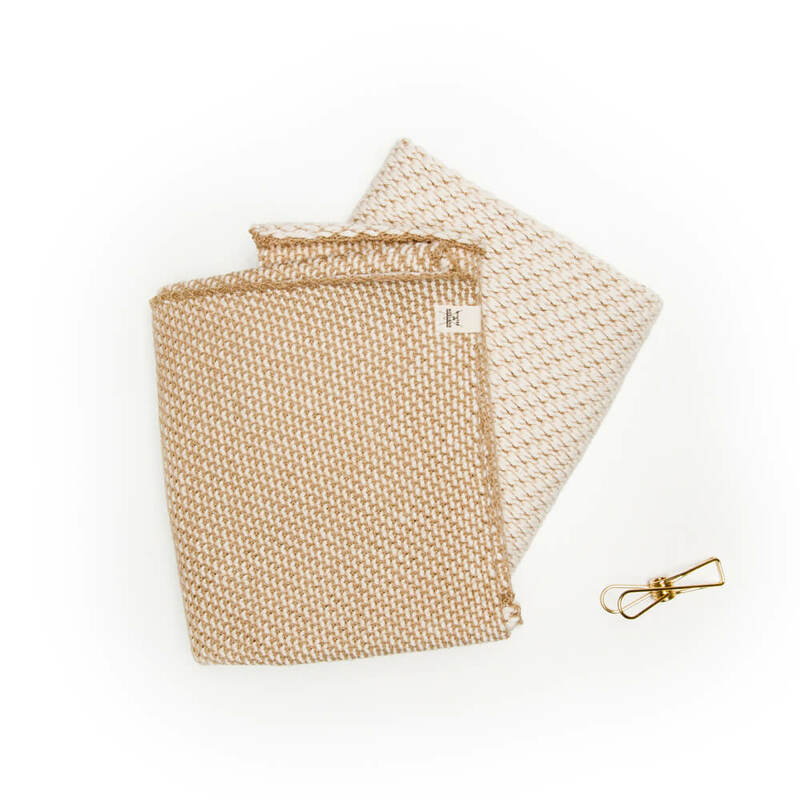 The towel comes with a clip, so you easily can hang it in your bathroom or kitchen. The towel is available in 5 colors. Which, in combination, are even more appealing.